Welcome to the Twin Mountain Subdivision in Pigeon Forge, Tennessee. This gorgeous subdivision is packed to the brim with luxurious amenity packed log cabins. The cabins are three bedrooms and are perfect for accommodating larger groups. All the cabins feature pool tables, hot tubs, large wraparound decks with unobstructed nature views, and much more. 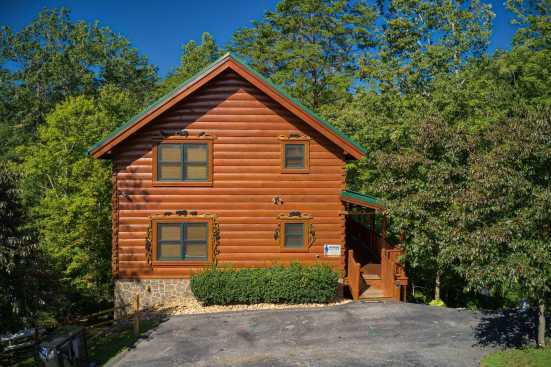 The cabins are also located only a few minutes away from the many attractions of downtown Pigeon Forge. Pigeon Forge, Tennessee is a fantastic vacation destination for countless reasons. Are you vacationing with children? If so be sure to head to the famous Dollywood Amusement Park. This park features thrilling rides as well as countless live performances daily. Smoky Mountain National Park is also in proximity and is loaded with spellbinding hiking trails leading to hidden waterfalls as well as breathtaking overlooks. Guests that are looking for a truly unique souvenir while in the area, should head to the arts district and pick out a one-of-a-kind piece of artwork produced by a local artist. With countless ways to enjoy your time in Pigeon Forge, your vacation is sure to memorable! Book Twin Mountains Subdivision cabins today with the owner. Booking with the owner allows guests to save on unnecessary fees and receive the best possible price. Find the property listing on SMBYO.com.